Doc/Docx to Pdf Converter 3000 is an easy-to-use and fast PDF converter. It can free batch convert Word doc, docx format files to PDF with brilliant results and without any problem. The PDF document that you get after changing from word doc with the use of Doc to Pdf Converter 3000 is fully reliable. It does not change the format styles as it retains graphics, layout and format of the original document. It is highly convenient to use as you can use it from the Word interface. More, easy-to-use interface allows you to convert without any learning curve. It is standalone software, Adobe Acrobat Reader is NOT required. 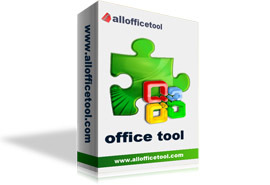 Support docx of Office 2007. Create PDF file from DOC,DOCX format files with three modes (default mode, image mode, text mode) for different needs. Convert each page of Word to one single PDF.